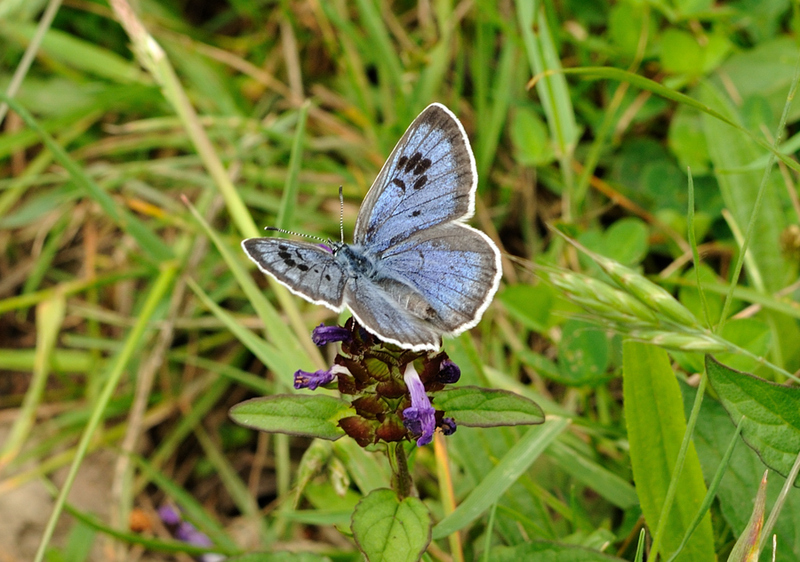 We were lucky on Friday to see four male Large Blues at Collard Hill near Street last Friday. I say lucky because we had a two hour window of no rain. The high wind also made viewing and photography difficult as well. We were also grateful that the warden of the site put us on to these ultra-rare insects. 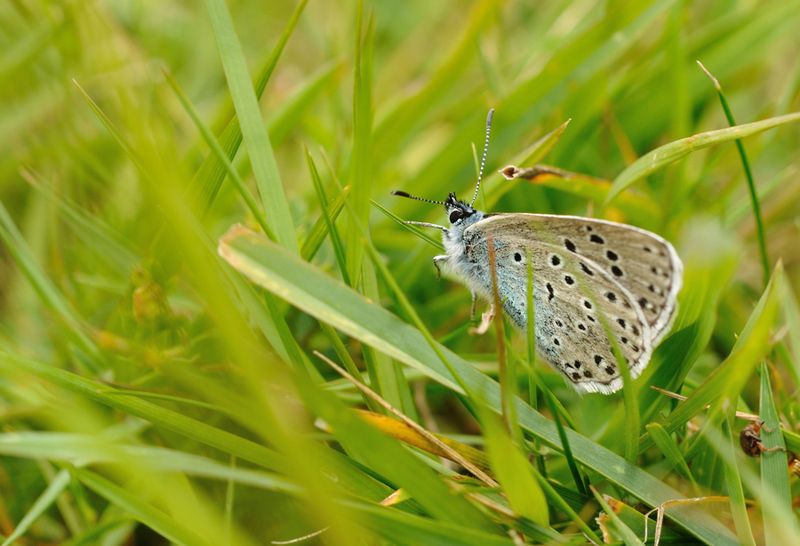 The life-cycle of the Large Blue makes incredible reading and it is this that makes the species so vulnerable. Indeed, the Large Blue became extinct in the UK in 1979. The photos below are a result of the Somerset Wildlife Trust funding a reintroduction programme of Swedish origin. The complicated life cycle begins with the eggs being laid on Wild Thyme. When the caterpillar emerges it feeds on the thyme for up to three weeks before falling to the ground. The caterpillar then tricks a passing ant into believing it is an ant grub. It produces chemicals that smell like an ant grub, as well as secreting a sweet fluid that the ants "milk". The ant carries the caterpillar to the nest. The caterpillar becomes a carnivore and eats the ant grubs. It hybernates in the nest in the winter and turns into a chrysalis in spring. The butterfly emerges from the nest in June but lives for just five to seven days. If this life cycle isn't complicated enough, then in addition, the red ant itself requires a specific habitat of short grass and warm ground, specifically kept short by cattle within defined dates! A massive amount of study work has been undertaken and can be found via the link below.